Happy Monday everyone! 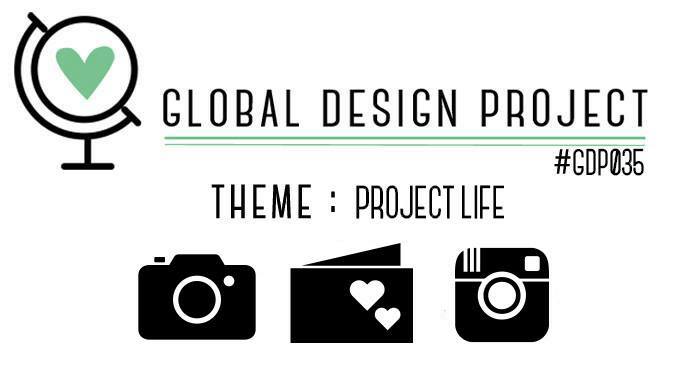 Today the Global Design Project team is creating projects with the Project Life theme. I am thinking that a few members or our design team will be sharing a Project Life layout so I wanted to create a card for you today. 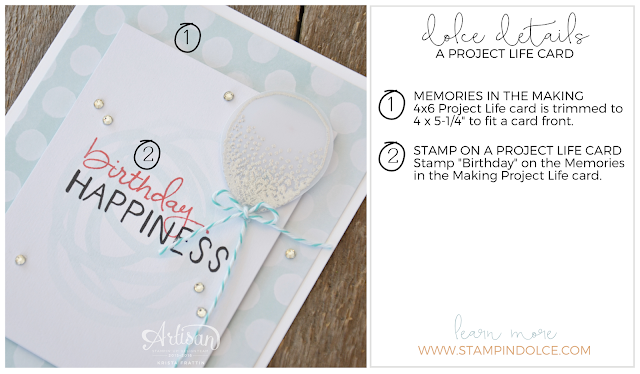 Creating a card with a Project Life card collection can be quick and effortless. 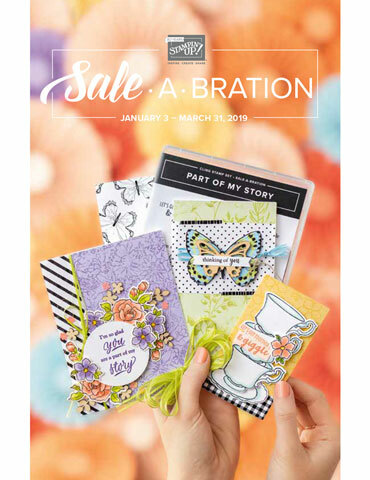 Each card collections is designed with coordinating colors, based on that package theme. Pick two or three from the set and you know they will match. 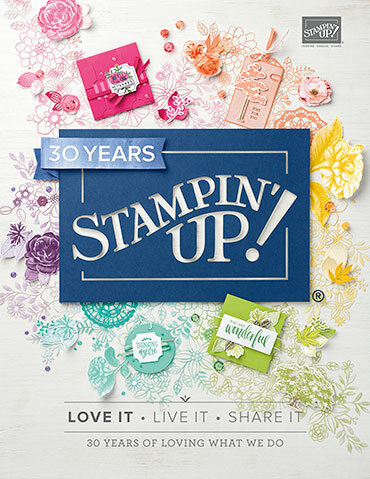 You can stamp on the Project Life cards! I added "Birthday" and turned this into a quick birthday card. 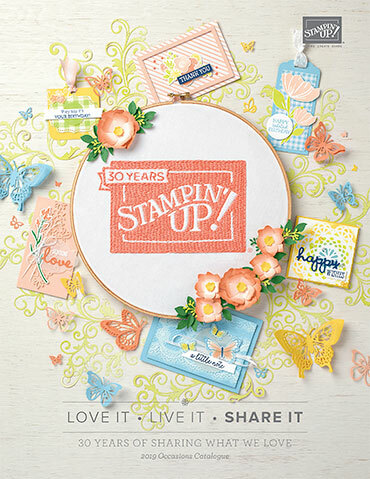 Add a few RHINESTONES and this card comes to life. I took it one step further and added the balloon but you could have stop there. Tell me that is not the quickest card to create? 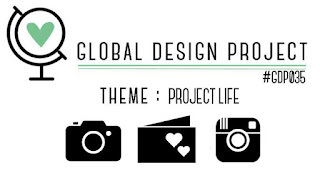 I am very excited to see what the rest of the Global Design Project Team is creating today for us with the Project Life theme. 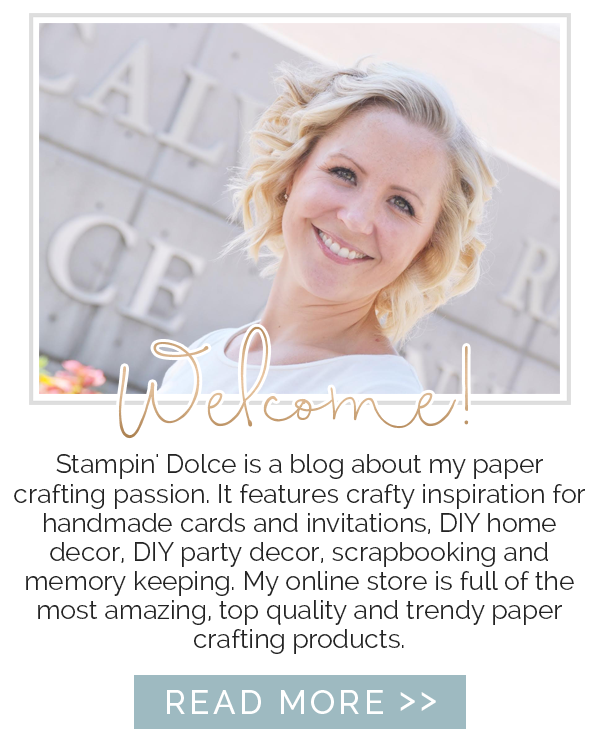 Click over to the Global Design Project to see! Don't forget that you are always welcome to play along with us! Have a wonderful & creative week!